I have no time to update BrainBlend for newer versions of SPM and Blender. Therefore, here is a small routine that exports a Nifti image to the 8-Bit RAW format which can be used in Blender to visualize structural and functional images as 3d-voxel cloud. The “extent threshold” function deletes all clusters in a given contrast image that consist of less than k voxels. The corresponding matlab code can be found in spm_getSPM.m (line 674f). In case you would like to use this code manually for other imaging data, here is a matlab-function called extentThreshold that allows you to apply the extent threshold on a 3d volume of your choice. newdata includes only the elements of data that are greater than zero and that belong to a cluster with at least 20 other elements exceeding this threshold. 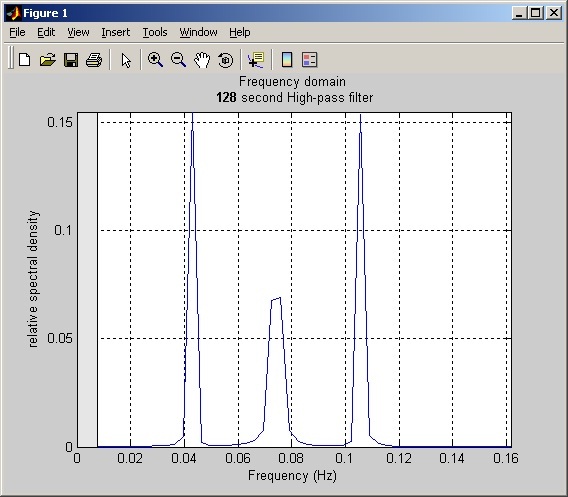 SPM has a nice feature to plot the frequency domain of a signal. You can use it, for example, when you click on “Review” and - after you selected an SPM.mat file - on “Design” - “Explore” - “Session 1″ - Regressor. The corresponding function can be found in spm_fMRI_design_show.m in line 90ff.